Hamburg, Germany, Wednesday, 18th April 2018 – HANSA HEAVY LIFT has moved subsea equipment to assist with the development of the Offshore Cape Three Points (OCTP) Integrated Oil & Gas Development Project off the coast of Ghana. 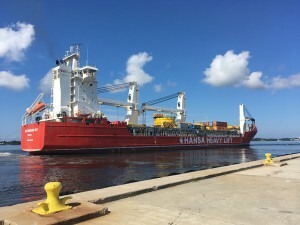 The voyages took place on-board the heavy lift vessels HHL Rhine and HHL Richards Bay, which transported the cargo between the ports of Panama City, Florida; Nymo, Norway; and Takoradi, Ghana. “This was a challenging operation that required meticulous planning as well as operational flexibility by our marine crews,” said Steven Neuendorff, Director, Head of Americas, HANSA HEAVY LIFT. “We had to accommodate changes in the loading and discharge sequence, and to the offshore installation sequence in order to meet the customer’s specific requirements. 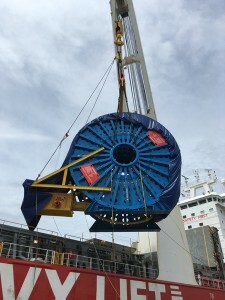 The consignment included vertical reels, a horizontal carousel loaded with flexible products, Steel Flying Leads (SFL) loaded on cassettes, a Flowline End Termination (FLET) sled, Subsea Isolation Valves (SSIV), and a variety of other subsea equipment. The first voyage included multiple reels and a carousel, all loaded with umbilicals and flying leads, which were transported from Panama City, Florida to Takoradi on-board HHL Richards Bay. 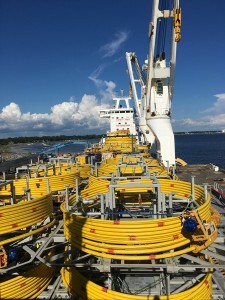 The second voyage took place on-board HHL Rhine, with subsea hardware transported from a facility in Eydehavn, Norway with the cargo discharged in Takoradi. The third voyage involved HHL Richards Bay returning empty reels and other miscellaneous equipment from Takoradi to Panama City, Florida. The fourth voyage included more reels loaded with umbilical products transported on board the HHL Richards Bay from Panama City, Florida to Takoradi. “Due to the high amount of cargo units, crews had to overcome very tight stowage with precise positioning,” said Tom Kroeger, Project Engineer, HANSA HEAVY LIFT. Kroeger added as everything had been prepared well in advance and due to strong cooperation with all parties, all engineering operations had run “particularly smoothly”. HANSA HEAVY LIFT has moved subsea equipment to assist with the development of the Offshore Cape Three Points (OCTP) Integrated Oil & Gas Development Project off the coast of Ghana. HANSA HEAVY LIFT GmbH is the carrier of choice for the super heavy lift 900+ metric tonnes industry, delivering best-in-class engineering solutions to customers, particularly in the subsea, oil and gas, as well as the offshore wind farm sectors. The company is a world market leader in the heavy lift business and operates a modern fleet of 16 vessels which is one of the youngest fleets in the market. 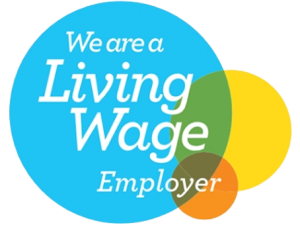 The Team is committed to quality, reliability and a customer focused service. Customers’ cargoes are handled with the highest degree of safety and professionalism worldwide. HANSA HEAVY LIFT is wholly owned by funds managed by Oaktree Capital Management, L.P. Oaktree is a leader among global investment managers specialising in alternative investments, with $100 billion in assets under management as of December 31, 2017. 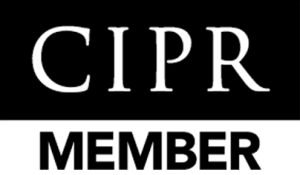 The firm emphasises a value-oriented and risk-controlled approach to investments.